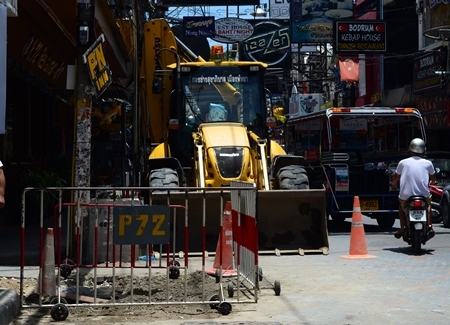 The Pattaya Engineering Department is fixing broken brick work on Walking Street to prevent accidents. 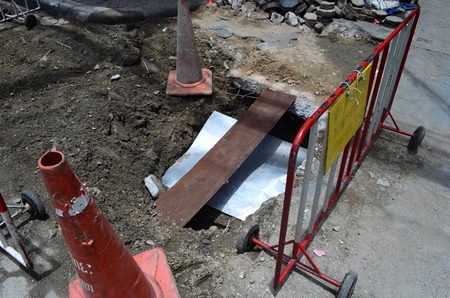 Engineers dug up bricks and repaired one spot in the road, before resurfacing it Aug. 10. 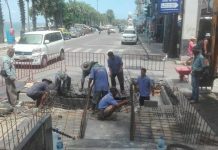 The work had to be completed quickly as the street draws large crowds of strolling tourists. 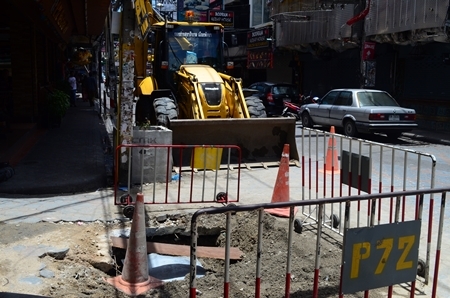 There are still many other areas that also need repairs, and the city has promised to tend to every one of them expeditiously.